CHESTERTON, Ind. – Tim Miles Sr. tells me I’ve made golf history. He says I’m the first member of GolfVisions’ Player Pass program to play all of the 16 courses offered in this most innovative program, and I’ll tell you it wasn’t easy. 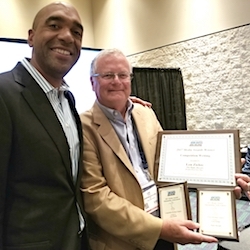 Miles, the GolfVisions president, started the Player Pass program two years ago and tweaked it for this season. 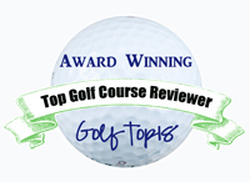 GolfVisions is a course management firm that Miles founded under the name GreenVisions in 1989. It presently oversees 11 courses in Illinois, two in Indiana, one in Michigan and two in Florida. Under the Player Pass program, you pay an annual fee to join, then get one free greens fee at each course plus other perks – the lowest fee the course offers for your playing partners, free range balls and discounts on meals and pro shop merchandise. A friend urged me to sign up for a Players Pass and it took me a month – bolstered by a reduced holiday special rate of $99 prior to Christmas – to do it. While I’ve played all 16 courses, my buddy – for a variety of reasons – has played but two. He says he’ll catch more of the courses before the year is out, and I hope he does. My regular partner and I, meanwhile, made this our special project, and we had a lot of fun with it. To make the program fully work you have to have the time and willingness to travel. Just playing the two Florida courses, Club at Pennbrooke Fairways in Leesburg and Green Valley in Clermont, made it worthwhile for us. In our two-month Florida stay in January and February you pay top-dollar for greens fees. Thanks to my Player Pass we got in two rounds (two people with cart) for $27 apiece. Now that’s $54 for four rounds of golf with cart. That’s a bargain anytime, but especially in central Florida during the height of the tourist season. Pennbrooke had 27 holes, broken into the Meadows, Oaks and Sanctuary nines. The first two were sporty, executive length layouts. Green Valley, which dates back to 1966, is a favorite of the locals. It’s a 6,645-yard par-72 with some nice elevation changes. Had I played alone on weekdays at the courses without my Players Pass I would have spent $598, though senior rates might have knocked that number down in some instances. And that doesn’t include money that might have been spent on range balls and food and pro shop merchandise. It also doesn’t factor in the savings on my partner’s fees. Not bad for a $99 investment. 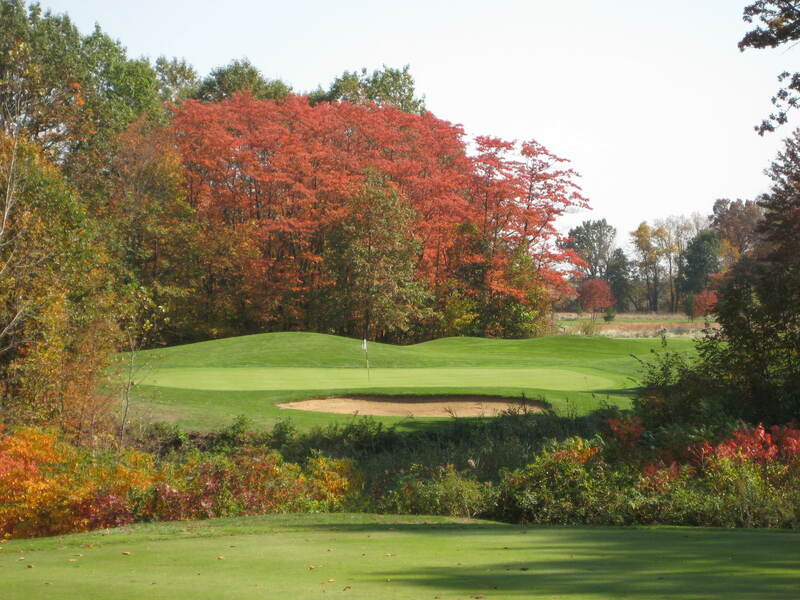 Some of the close-to-home courses (Foxford Hills and Chalet Hills in Cary, Settlers Hill in Geneva, Village Green in Mundelein, Oak Grove in Hebron and HeatherRidge in Gurnee) are regular annual stops for this hacker who relishes playing lots of courses rather than limiting myself to the one in which I am a member. Those weren’t all played as part of the 2012 Player Pass program but I have plenty of familiarity with them. Anyway, this project wasn’t so much about saving money as it was about having golf adventures. What the Player Pass did was encourage us to take some day-long golf getaways, the longest of which was to the Michigan course, Whittaker Woods. It required a 130-mile drive each way. Some of the courses were better than others, of course, but all offered something a little different from the ones we play on a regular basis and we also got a chance to see different areas than we would have just playing near home. We tried some most interesting restaurants along the way as well. 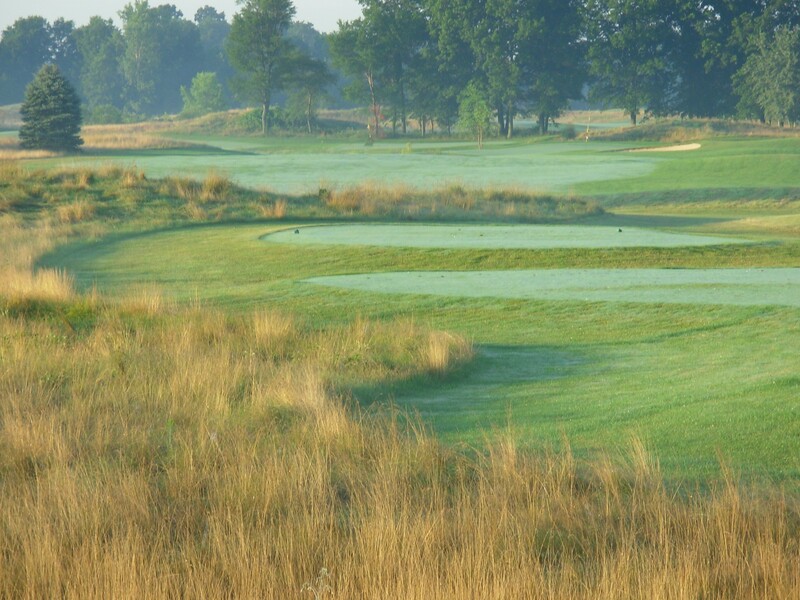 Our favorite course of the lot was The Brassie (pictured above), in Chesterton, Ind. We played that one in 102-degree temperatures. It was like a sauna out there. The Brassie is a links-style course designed by Jim Fazio (not George or Tom) in 1998. Jim and Tom are the nephews of the late George, who designed Butler National in Oak Brook, among others. Tom has some great creations, too, most notably Conway Farms in Lake Forest. Jim’s The Brassie isn’t bad, either. The Brassie had the very best Course Guide that I’ve ever seen – and that’s saying something, given the number and variety of courses I’ve played in over four decades as a golf journalist. The staff at The Brassie was also extraordinarily friendly — and that’s not to say the staffs at the other courses weren’t. At The Brassie, though, the people went beyond the expected service. Our random selection for dinner before heading home, — the Lucrezia Café, a cozy Italian place – worked out well, too. On one trip we hit two of the courses – Tanna Farms, in Yorkville, IL., first and Deer Valley, in Big Rock, IL., on the way home. Deer Valley has the smallest greens I’ve ever seen. It’s a nine-holer built by John Flodstrom who owned the land in 1995. He later sold it to Kane County. Deer Valley had a log-cabin clubhouse and the lowest Players Pass fee of the places we visited — $12 with cart for two players – and it was a fun, but challenging, layout. Our round there came in the aftermath of 18 holes at Tanna Farms, which has tons of wetlands and a most unusual start; there’s no par-4 hole until No. 4. You open with a par-3 over water, then hit a par-5 and then another par-3. A few weeks before making the Tanna Farms-Deer Creek run we visited Nettle Creek, in Morris. This place had a most charming clubhouse, excellent food, a challenging start (especially the first two holes), a well-conditioned course and a most polite staff. What more could you want? Too bad Nettle Creek is so far from home. I would play it more often. Two of the courses had undergone some obvious problems. The clubhouse had burned down several years ago at Hunter Country Club, in Richmond, IL. – a quaint little town just inside the Wisconsin border – and operations were conducted out of a trailer in the parking lot. And GolfVisions had just taken over Chapel Hill, a McHenry layout known for having the only hole over 700 yards in Illinois. The clubhouse was shuttered at Chapel Hill, with all business done out of the golf shop. I had played both Hunter and Chapel Hill many years before (at least 10 in both instances) and was just happy to see that they were still in operation. River Pointe Country Club, in Hobart, Ind., had the most interesting history. It was a long-time private club created by American Steel Supervisors. This was the biggest of the facilities – 27 holes – with Red, White and Blue full-length nines. Our journey ended, appropriately, at Whittaker Woods (pictured below), in New Buffalo, MI. It was a highlight to our golfing odyssey. Opened in 1996, Whittaker Woods had an extremely tight front nine holes. The starter tells you “You may lose your ball if you hit it into the trees, but you could find three while you’re looking for it.’’ That tells you right away the challenge you’re about to face. Needless to say, we put some balls in the trees on that front side. Then you come to No. 10 and you’re surprised — and relieved — to find a wide open tee shot. This course had tee shots over wetlands on almost every hole, it seemed, but the fairways and greens were in great shape. Whittaker Woods also had the nicest-looking restaurant of the Players Pass facilities. The only drawback was that the restaurant had already closed by 5 p.m. We found that unusual, but there are plenty of good dining spots in New Buffalo. We ate at Brewsters with the couple that played with us, completing a most enjoyable day. 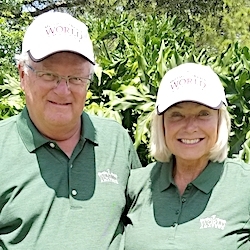 Miles, a former golf team captain at the University of Missouri, created excitement at the last two Chicago Golf Shows when he provided patrons with free greens fees at some of his courses. GolfVisions didn’t have as many Player Pass buyers this year as it did in 2011, but Miles plans to continue the program next year with some minor tweaks.